Cotton upholstery batting is 100% cotton that is soft and fluffy to give comfort and support to a sofa or chair. 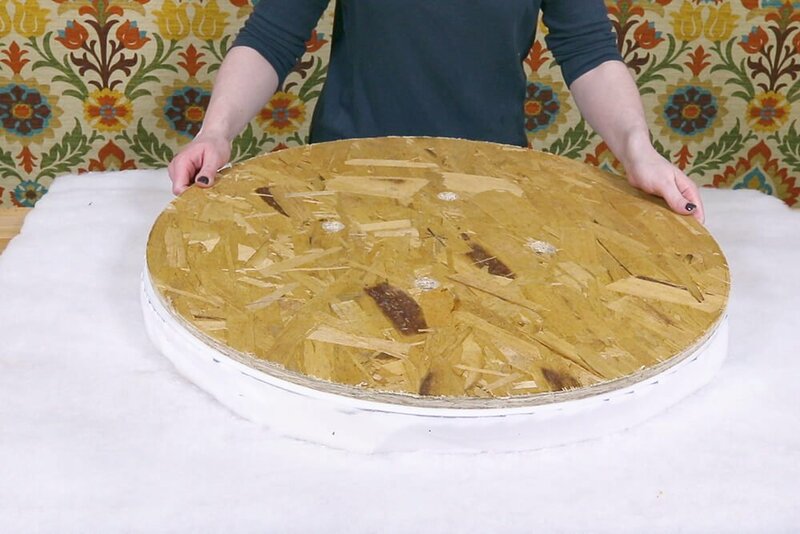 This batting can be used for upholstery, padding, and backings on furniture. It’s about 2 inches thick and can easily wrap around edges. It conforms to contours without separation and is easy to cut with scissors or a knife. This upholstery batting is also available in organic cotton. 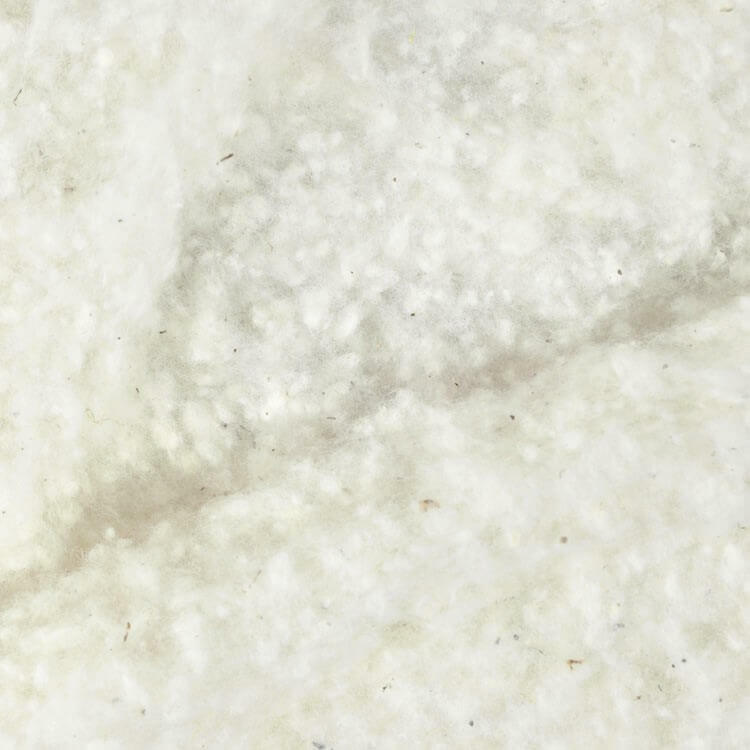 Cotton upholstery batting is used in conjunction with upholstery foam to round out edges and corners, provide a little extra fullness, and prevent slippage. This batting shouldn’t be used on its own as it won’t offer a lot of support. Upholstery batting is commonly used for upholstering chair cushions and couches. Our cotton upholstery batting comes in 27″ wide rolls that are approximately 12 yards long and weigh about 13 pounds. One layer is about 2 inches thick after unrolling, but you can use multiple layers to achieve the thickness you’re looking for. This is a chemical free product that is easy to cut. 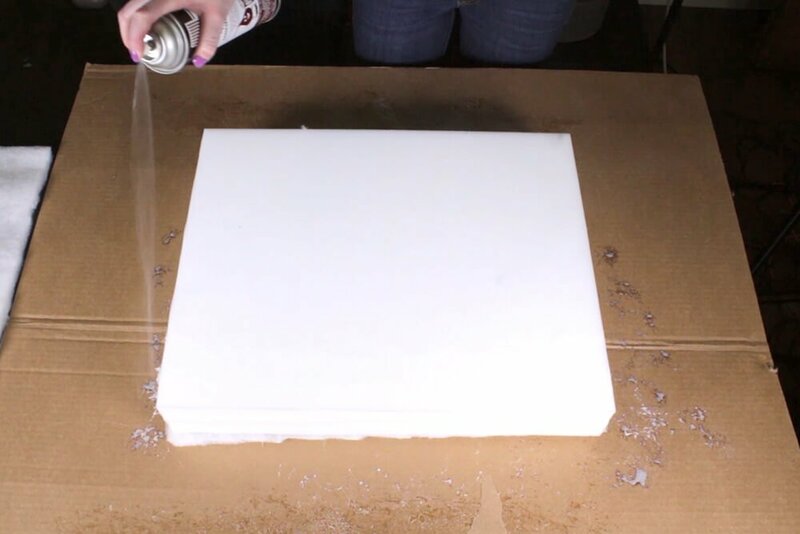 If you’re upholstering a cushion with a removable cover, like this box cushion, you may want to use spray adhesive to attach the padding to the upholstery foam. Keep in mind that this batting is meant to be used for upholstery. This is not a good product for quilts or comforters. Our Quilter’s Dream and Mountain Mist batting would work better for these projects. 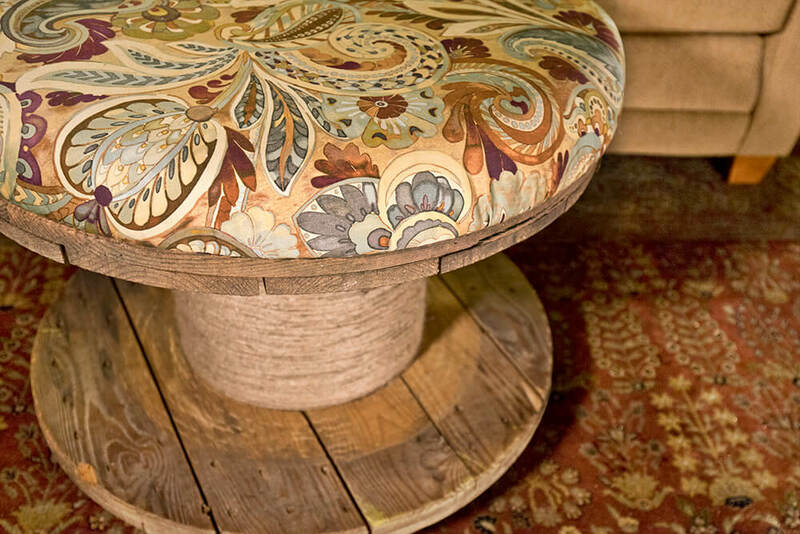 Learn how to make an upholstered spool ottoman. 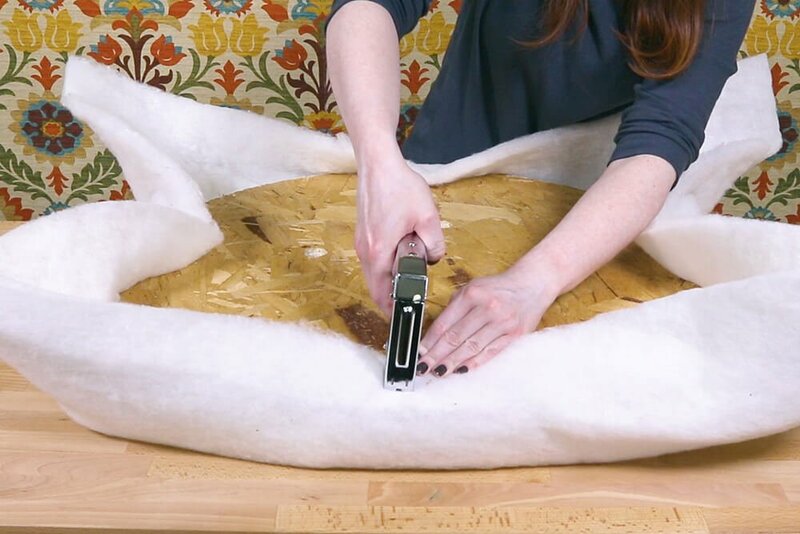 Learn how to make box cushions with a zipper. 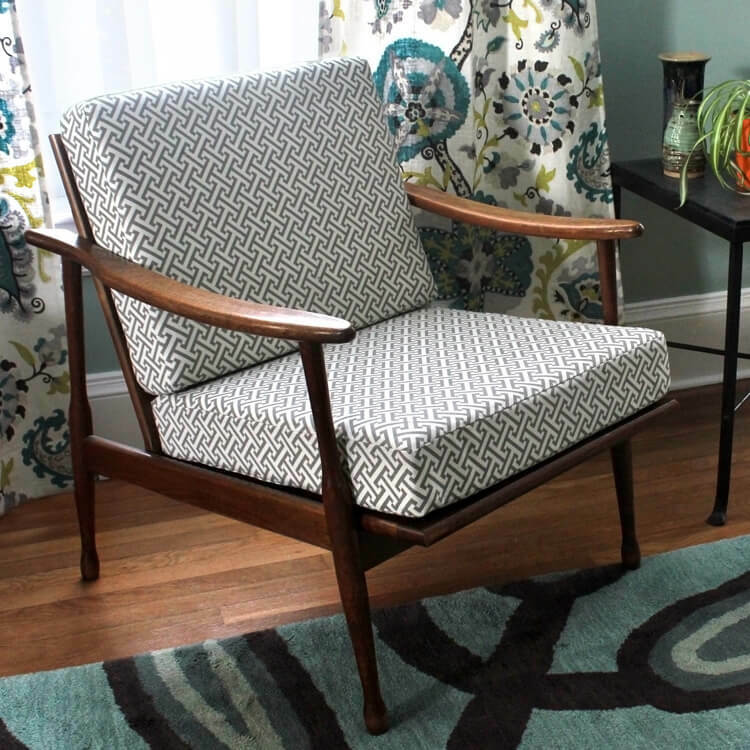 Learn how to reupholster dining chairs. Learn how to reupholster an office chair. Click here to shop cotton upholstery batting. What is the material you use under the chair or couch to enclose the bottom?